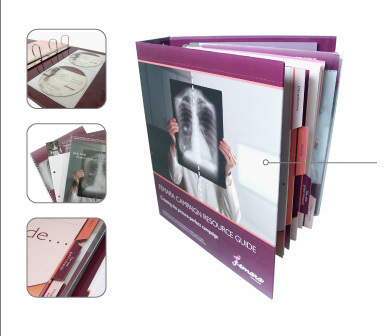 We offer a virtually boundless variety of custom presentation binder and tab solutions to meet your specific needs. presentation binder complete with it's contents - from index tabs to CD pockets, notepads, and wire-bound books. We offer a breathtaking range of design, construction style, material and decoration choices. Construct your next binder project to fit your budget. 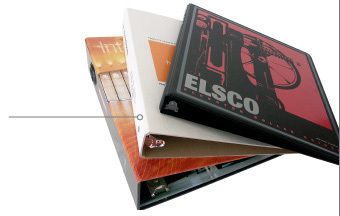 We offer turned-edge, paperboard, vinyl and poly binders. Choose features to fit your style from euro-hinge, round back, magnetic and easel styles.